My latest bit of kit is the Logitech T650, and I've been so impressed with it I thought I'd better write a short review. 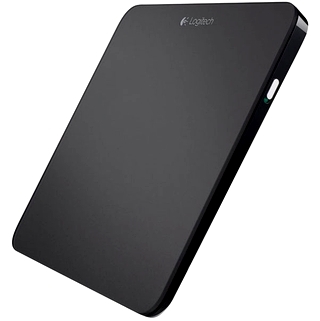 This device is a trackpad intended primarily for Windows 8, but can be used with Windows 7. However the full value of the product comes out when you use it with Windows 8, because of all the other gestures that have been introduced to this version of Microsoft's operating system. Of course Windows 8.1 is supported as well. So Microsoft have finally announced the release date for Windows 8.1, (formerly known as Windows Blue), and they confirmed that Windows 8.1 will be launched at 4am PDT (12 noon GMT) on the 17 October and will be available through the Windows Store as a free download. So, I've had my latest toy delivered and it's called the Leap Motion. What is the Leap? In the words of the manufacturer "With a wave of a hand or lift of a finger, you’re about to use your computer in a whole new way. The Leap Motion Controller senses how you move your hands the way you naturally move them. So you can point, wave, reach, and grab. Even pick something up and put it down. Just like in real life. It’s an amazing device for the things you do every day and for things you never thought you could do." Basically, think of the film "Minority Report" where Tom Cruise interacts with a large screen by gesturing in front of it. That's kind of the gist of the device. I've had the pebble for a couple of months now and I reckon I'm overdue writing up a short review, so here goes. Like many other people who purchased the pebble, I haven't actually bought worn a watch for years. However because the watch is so closely integrated with my iPhone, it has become a useful second screen for the phone. What do I mean by this? For those of you not familiar with the pebble, not only does it tell the time, but also allows various notifications from the iPhone to be displayed on the watch screen. The most obvious thing that it can do is show you the phone number of any incoming calls and the text of any SMS messages that come in on the phone. Ever wanted to add extra dictation sources to your copy of Dragon? Well here's how! Well.... It's finally here - obviously my earlier bleat was not required; it was obviously already in transit. It doesn't make that post any less relevant as the delays were dreadful, but hey ho, it's another day and the Pebble has landed. No doubt I'll write a proper review of it in the next week or so once I've had a chance to play with it a bit. I decided to write this post because I've been playing a long-term waiting game for the pebble watch, and I really don’t want to take up half of a review with my views on the delivery process when it eventually arrives. Just to remind you the pebble is a smart watch where the greater percentage of the intelligence is in a Bluetooth connected smartphone whether that be an iOS or android device. However, the watch would allow you to interact with various bits of software on the phone without ever removing it from your pocket; oh and of course allow you to read the time! It turned out to be a hugely popular kickstarter campaign as they ended up with 68,929 backers and $10,266,845 of their original $100,000 goal.